Rural Revolution: Is thriftiness only for the rich? Now here's an interesting thing. An article appeared in the Outline entitled "Being Frugal is for the Rich." The author, Miles Howard, profiles a young Millennial couple who call themselves the Frugalwoods. I'd never heard of this family before, but it seems they decided they wanted to escape the rat race while young, so they crazy-saved their money, invested their savings, bought a homestead in Vermont, and retired young. Now they're blogging and writing about how the gospel of frugality can save others as well. The interesting thing about this article is not the Frugalwoods themselves, but the sneering tone of the writer, Miles Howard, who seems to take affront at thriftiness. "Their story slots neatly into a classist myth that millions of adults in this country still believe: the American Millennial," he snarks. "Regardless of intent," concludes Howard, "these Millennials [meaning, the Frugalwoods] are telling an older generation of elite Americans – the very people whose policies and financial decisions kneecapped the economy – what they want to hear: that everything is more or less okay, and young people just need to be more thoughtful about their money. And that's a [expletive] idea to perpetuate. Because whatever happens in the years ahead, penny-pinching will likely remain a lifestyle enhancement for bourgeois Millennials who possess enough money to enjoy the dividends of being thrifty. For most of us, there are no dividends: just thrift." Here's the thing: neither the Millennials nor the "older generation of elite Americans" who "kneecapped the economy" can help anyone but themselves. The national economy is a vast engine far beyond the power of individual influence. It seems to me the Frugalwoods simply did the best they could with their "bourgeois" circumstances – and did very well – and now endeavor to show others how they did it. What's wrong with that? "For the rest of us, there are no dividends: just thrift," says Mr. Howard. So answer me this: What's the alternative? Seriously, what's the alternative to being thrifty? The Frugalwoods could have continued their previous careers and squandered away their money on material possession, fine dining, vacations around the world, personal electronics, or other frivolous spending. They didn't. They became thrifty, and by doing so, they achieved a different lifestyle. But what about "the rest of us," as Mr. Howard so condescendingly asks? Are there no dividends from thrift, just the dull grind of thriftiness for the rest of our lives? What's the alternative? To spend and spend and spend money you don't have and dig yourself deeper into poverty? What Mr. Howard seems to forget is thrift and frugality are powerful tools – especially for those who are poor. If someone is having a hard time making ends meet, they will simply dig themselves into a deeper hole by NOT being thrifty. I remember years ago, when Older Daughter was a baby, getting into a somewhat heated discussion with another new mother about diapers. 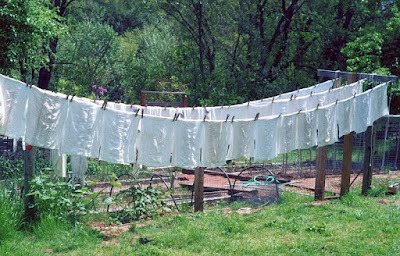 Don and I – penniless, with a home woodcraft business and a new baby – couldn't afford disposable diapers, so we used cloth, washed them, and hung them to dry. This mother argued she couldn't afford a washing machine, so she had to keep using disposables. I whipped out my price book and calculator (for in those days, being a student of Amy Dacyczyn's "Tightwad Gazette ," I kept a price book) and looked up the price of the cheapest disposables in the area, punched some numbers in the calculator, and demonstrated to this mother how she could purchase a washing machine within two months if she switched to cloth diapers and washed them at the Laundromat (which, presumably, she already frequented) until they could buy a washing machine of their own. Additionally, the washing machine would last for years and allow them the ability to do their own laundry for less expense (and hassle). She could save even more money if she line-dried her clothes. This mother was not amused by my argument; and doubtless for the rest of her child's toddler years complained bitterly about how expensive disposable diapers were – without doing anything about it. Folks, the only economy you can influence is yours. No one else can make you rich, but lots of things can make you poor … including your own profligate or illogical spending. Kudos to the Frugalwoods, whoever they are. Regardless of how "bourgeois" they started out, they're doing things right financially. A lot more people could learn from their example – not the example of financial helplessness Mr. Howard demonstrates. Hi Charles! Folks, Charles wrote the excellent book "The Self-Reliant Homestead: A Book of Country Skills." Well worth reading. "The only economy you can make is yours". Such a good quote! This is a gem of a quote. Frugality is for everybody. I take my hat off to anyone who makes an effort. Frugalwoods blog is one of the best and most inspiring blogs I’ve come across in the last year. I don’t care what some pretentious and bitter man says about them. People like him never inspire others, just discourage. As for your diaper comment, I literally scrubbed my oldest daughter’s cloth diapers in the tub because I was so poor. I couldn’t afford disposable diapers until she was several months old. People make excuses to make themselves feel better about their choices. I tend to have trouble understanding these kind of people. I had a young man, that was doing some work for us that we can no longer do, come into the house and say wow this is really nice. I replied that is what happens when you always live below your means and eventually you too can do this. I did not say it but I do wish we had spent more on trips and stuff years ago because now that we are retired the body just will not allow us to enjoy all of that which we can now afford. It never hurts to be thrifty because it gives you options! I know many people who lament a lack of money and who then waste what they do have on eating out, drinks, cigarettes, cars, and other unwise financial choices. I grew up in a very frugal household and learned to do well with what we had; I have several times argued with people who claim what my family did was impossible - the same people claim that a family can't live on food stamps (in this area, over $400/month for a family of 3) and when I show that it can be done, they change their definition of 'living' instead of admitting they were wrong. Converts to thriftiness are always a cause for joy in the aready converted! There are limited ways to increase your income. 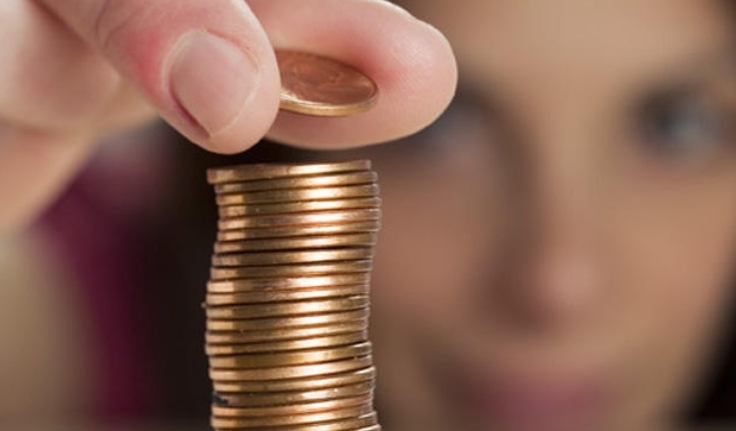 There are almost an infinite amount of ways to increase your frugality. One costs time or money or life; the other costs you (perhaps) some convenience or a small piece of fleeting joy. 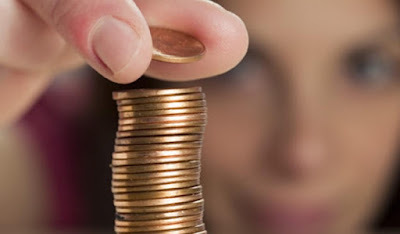 How can you get wealth without being frugal? Seems like you dan't have one without the other. I'd rather get diet tips from Rosie O'Donnell than frugality tips from these two cupcakes. No one will remember Howard. Ah yes, let's shut down opposing opinions. Like that has worked out so well in history. Current events clearly demonstrate that is exactly what is happening in this country today. i.e. Facebook, Google, the MSM pressitutes, schools and of course Big Brother. Share your opinion, sure, but why the unnecessary negativity? No need to call them "cupcakes" or say no one will remember them. There is a line between disagreement and unnecessary rudeness. Being bitter and vindictive is no way to live. I apologize for being negative, rude, bitter and vindictive. And I apologize for all my other faults that you've yet to uncover. Regardless if your apology is sincere, I accept it. We all have our warts, and we all have the responsibility to work on them. I am just shaking my head at that article (I just HAD to read it). Sure, maybe they (the Frugalwoods) had some support, but it sure sounds to me they made conscious and wise decisions. If more people, regardless of their 'generation' or position in society made such good decisions, we wouldn't have so many dependent on handouts. We live paycheck to paycheck, but being frugal keeps us off the 'dole'. And we are late baby boomers, who made poor decisions earlier in life, We are working now to make things better. So anyone can do it at any time. Being frugal is good no matter where you are in life. And I also poked around the Frugalwoods website. While it seems they 'came' to frugality from a different path than myself, I can see how it would appeal to the younger generations. One can only hope that more younger folks will take their message to heart. I think the overlooked point lost in all this is the basic math that if two families practice the same degree of frugality, but one family starts from a position of advantage, like the Frugalwoods did (and I am quite familiar with them/their blog), that family will end up ahead regardless. So the Browns (B) start ahead with families who help them with college or connections to the job market or help towards a house downpayment or car payment or insurance payments or whatever - and the Smiths (S) started out unable to live at home during school, unable to afford school, unable to make the connections to a good job early, so took on debt to pay rent or whatever - the point is that both families, debt or no debts, who decide to get frugal, get out of debt, get ahead, try to invest, end up financially independent - the point is that they are not started from the same point mathematically. The Browns had financial advantages or other privileges that later concurred financial gains that the Smiths did not. That is basic math. The odds are the Browns will always be ahead because they began ahead of the Smiths. Should this mean the Smiths should quit, go home, and cry to be rescued? NO. Because really, you'd think that any position of improvement would be worth fighting for, being frugal for. Really, working hard to live beneath your means in order to get ahead is just plain common sense. And I can say that as someone who practices it and who had to do my fair share of scratching just to get where I am now. It'd be great if we could all end up wealthy enough to live off the interest and dividends of our investments; if we had enough money that our money made money for us. But I've met many who simply don't understand how wealth works, much less how to get "rich". They don't even have the basic financial literacy to live within their means and figure out how to meet expenses, much less pay off debts. And THAT is a huge failure of education - blame the public, private, home or "un-" schools - but every child should be taught financial literacy! That would be a good start. Teach your children about money, time, and how to manage both! Cost is always a consideration. However I believe Value is more important and harder to find. When I was a stay-at-home mom, one of my husband's co-workers asked it we had outside income. Hardly! What we had was careful money management that allowed me to stay at home with our daughter while we both enjoyed hobbies and contributing to our church and to charities. Our savings weren't as great as we might have wanted, but we could have survived a layoff for a few months. 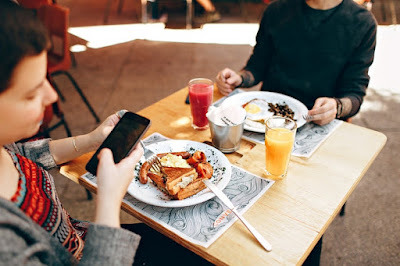 We just planned how to spend money and didn't buy anything that we couldn't afford fairly easily and always felt that we had enough to help others. People would ask my husband how he could afford a stay at home wife and six children. He usually responds that we would sacrifice the things that others feel they must have. We rented for the first 19 years of our marriage, didn’t go on a real vacation until our 16th year of marriage and was a single vehicle family for several years. All the sacrifices were and are worth it. Savings is nice, yes, but having a mama who can care for babies and home is even better. Sounds like we are similar in thought processes! 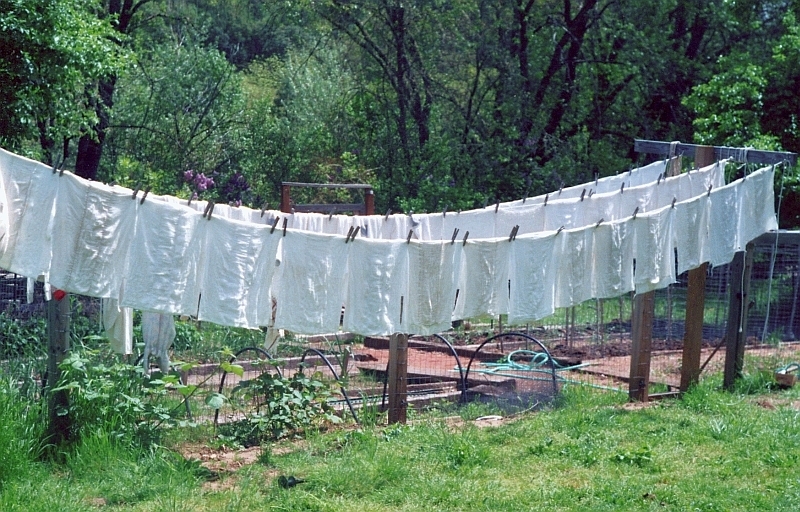 I enjoy reading several different frugality blogs, including Rural Revolution and Frugalwoods. As we are both early retired due to health issues, I am glad that we have practiced frugality to some degree all our lives. It is what enables us to fund this unexpected shift to retirement. Frugality gives one a "leg up" no matter where or when you start. Anyone who believes ↑that↑ does not understand anything about money or about applying basic arithmetic. It depicts the quintessential attitude of ignorance and failure, born of a refusal to learn or take responsibility. I'm a self-made millionaire in my 30s, who started from zero, never had a dollar of debt, and got here working an 8-5. No "bourgeois circumstances." I did it, and what one man can do, others can do. What Mr. Howard needs is not auspicious beginnings. He needs an open mind and a fire in his belly. One of the things my husband and I practice is looking at everything we must spend in regards to his take home after tithe hourly wage. For instance we caved in and went to lunch the other day and it was awful food. He had to work for an hour and a half to pay for those awful tacos. If we look at each expenditures that way it makes it much easier to decide what to spend and where to spend it. We recently got a bid for some stucco repairs and figured out that it was going to take my husband two and half weeks work to pay for those repairs. We cut out what we could on the repairs based on that knowledge. Frugality is being a good steward of the money you are blessed with. right now cannot tell the diffrnce between the 2 hot dogs that I had or the 20-30 dollars a plate for dinner. I have met some seriously wealthy people in my time, many of them were so "tight" they squeeked to quote my father. He liked to say that they still had the first dime they made, yet they were net worth millions. Then I look at my niece and her husband. They have two kids and they both work. They are constantly broke and begging my brother for loans that he really cannot afford to give them, since they never pay them back. But yet they have money for tattoos, lots of them, and there is always money for beer, lots of beer. and they constantly complain about being broke. I just don't get it. Frugalwoods is a great blog. Neither Mr. or Mrs. came from money, nor had money handed to them. 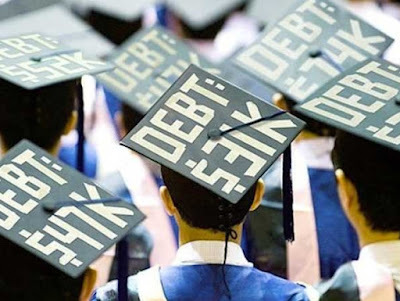 The only thing their parents did for them was allow them to graduate with a 4 year degree without debt. They worked and paid for their graduate degrees. They are very smart about saving money, making money go far, and doing without. Mrs. went several years on a no clothes diet-wearing all of her thrift store goodies with nothing new. I have learned a lot from their blog. How sad that frugality is a reason for mockery. I think I must be bitter or smug or something. I read all this "new" stuff about "radical frugality" and I think, "Wow. When I was a kid, that was just how people lived. Either you were poor and that was just life, or you were either rich or stupid and you laughed at the 'poor backwards hillbillies.'" Now it's trendy and revolutionary, and we have debates about whether "frugality" is part of "white privilege." I don't get it. I just... DON'T.